Hey all, new to the forum! 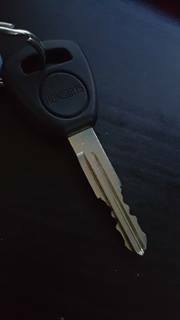 I am just wondering, i bought myself a 2002 honda civic 1.6 a few weeks ago, and it only come with 2 keys. I was wondering, do these cars come with a keyfob so you can just unlock the car using 1 button, and re-locking it etc? Re: 2002 Honda Civic keyfob? Many of them did, but I don't believe ALL came with the Honda Security System. Are the keys large head transponder or thin? Send. A pic of the keys. Here is a pic of the key.